Đuro Benić graduated from the Faculty of Economics in Belgrade in 1972. 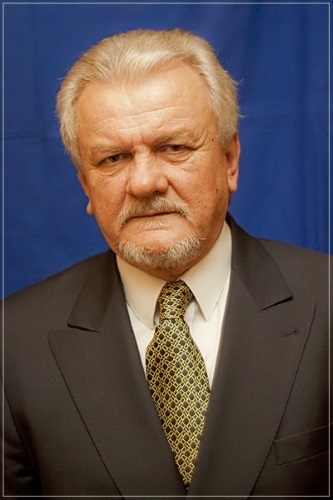 He obtained his MSc degree at the Faculty of Tourism and Foreign Trade in Dubrovnik in 1983, and PhD degree at the University of Split in 1989. As of 1983 he has been employed at the Faculty of Tourism and Foreign Trade in Dubrovnik, first as part-time lecturer and from 1990 as full- time lecturer. In 2003 he was elected as a full professor with tenure. He teaches at the University of Dubrovnik, Department of Economics and Business Economics the following courses: Introduction to Economics, Microeconomics, Macroeconomics and History of Economic Theory and Methods. From 1992 to 2009 he was visiting professor at the Faculty of Economics in Mostar, Bosnia and Herzegovina, and from 2004 to 2015 visiting professor at the Faculty of Economics in Zagreb, where he taught Foundations of Economics and Microeconomics. He was lecturer and course leader at postgraduate studies both at home and abroad. At the University of Dubrovnik he was Programme Leader of two postgraduate scientific studies. He is lecturer at postgraduate doctoral studies at the Faculty of Economics in Rijeka and Faculty of Tourism and Hospitality Management in Opatija. Under the sponsorship of the United States Information Agency Bureau of Educational and Cultural Affairs in 1998 he was on a study visit to five universities in the United States. He is author of five university textbooks (co-author of one textbook), nine high school textbooks (co-author of six), three scientific books (co-author of two), and editor of four books published by respectable publishers sold in more than 150.000 copies, as well as author of over a hundred scientific articles in Croatian and English in fifteen countries on six continents. He was Vice- Dean and three times Dean of the Faculty of Tourism and Foreign Trade in Dubrovnik, and Vice-Rector for Science at the University of Dubrovnik. In 1997 he received medal for special merit in science from the President of the Republic of Croatia. As of 1994 he is Editor-in-Chief of the journal Economic Thought and Practice.